On this date in 1977 the Sukhoi Su-27 “Flanker” had its first flight. The Flanker is a twin-engine aircraft that was designed to be a direct competitor to fourth generation fighters such as the F-15 Eagle (its closest US counterpart), F-14 Tomcat and F-18 Hornet. With a range of 1900 nautical miles, heavy armament, highly sophisticated avionics and extreme maneuverability, it most often flies air superiority but its most modern versions can perform nearly any comabt role. 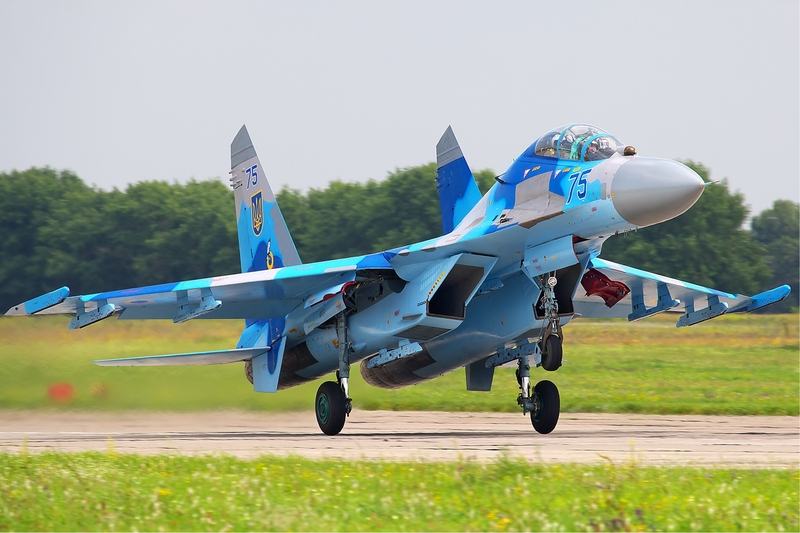 The Flanker has seen limited action, participating in the 1992-1993 Russian war against Abhkhazia, the 2008 Ossetia War and several reported incursions into the airspace of another country; for example, on February 7, 23, two Flakers briefly entered Japanese airspace near Rishiri Island. They were intercepted by four Mitsubuishi F-2 fighter and warned to leave Japanese airspace. The aircraft did, although Russia denied the incursion, saying the just were merely making routine flights near the disputed Kuril Islands. The Flanker is also flown by the Russian aerobatic team “The Knights”.